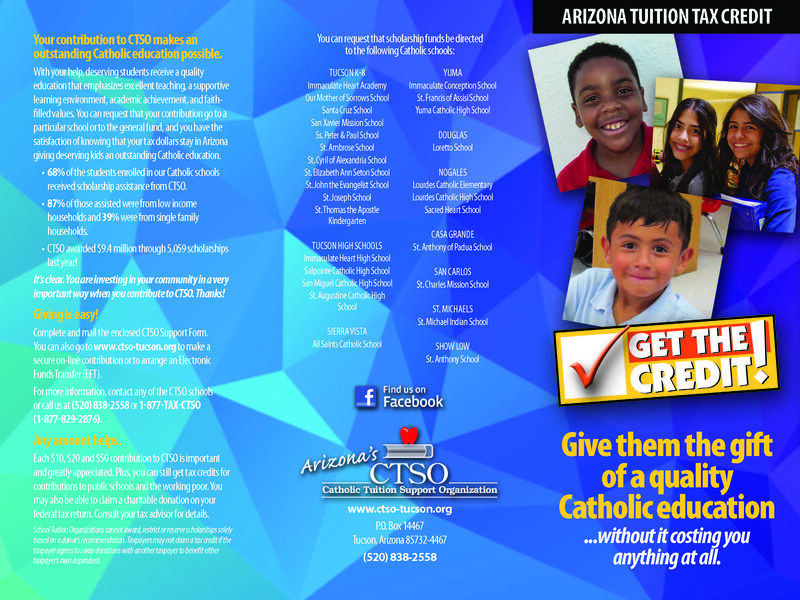 Individual Arizona Tax Credit donations must be made directly to a School Tuition Organization (STO). Yuma Catholic High School may not accept these donations directly, but will receive your designated donation for income qualified tuition support. Over 60% of the current student body qualifies for this assistance. Information is below for several STO's that are currently accepting donations designating Yuma Catholic or a specific student. S-Corporations may also participate in Corporate Tax Credit donations starting July 1 of each fiscal year. Please contact Bobbi Ukura in the Advancement Office for more information 317-7910.